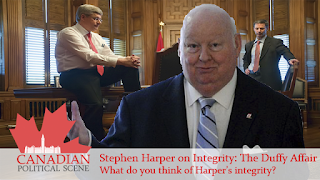 Did the Conservatives declare mutiny on Stephen Harper? The Liberal party was given a present by the Tories today, a 500 page book of Harper’s most controversial quotes from the 80s to present. The document is organized in alphabetical order by subject matter and covers everything from abortion to western alienation. The fact that the Tories felt compelled to research and expose their own leader is an indication that the party isn’t stable and that something is seriously wrong. Harper refused to tell reporters what would happen to his career if he didn’t win a majority government, but based on this kind of betrayal, his time as leader of the party must be on a short leash. It is remarkably unusual that a party would dig up dirt on its own leader as it is usually the other parties that dig it up for them. 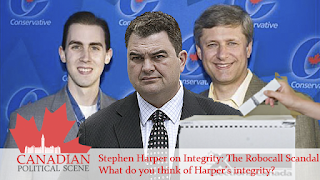 In Tom Flanagan’s book Harper’s Team, he wrote, “When I became chief of staff in 2003, one of the first things I did was organize a 'Harper research' program to collect everything he had ever written or said in public." He refused to comment on how the binder got obtained by the Liberals. A Tory source who was familiar with Flanagan’s project told CBC that the binder was genuine and that it included all of the up-to-date installments of their research which started in 2003. Harper may have problems defending his healthcare stances now that they are all in the opposition’s hands. A cover note on the 2004 installment said, "that [the quotes] have the potential to be the most problematic are the quotations dealing with health care." Below are two quotes that haven’t been dug up by the opposition concerning Harper’s stance on healthcare – both of which from 2002. Harper, Do you Believe in Free Speech? Can We Really Afford to Lose Our Identity?